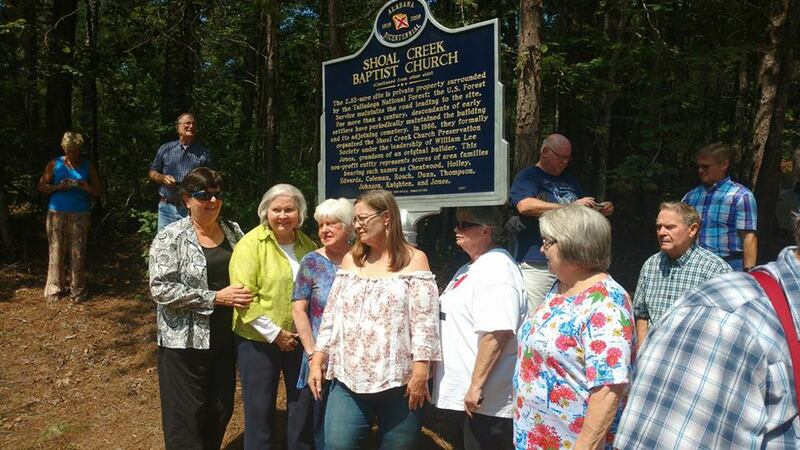 An historical marker was erected at the Shoal Creek Church during the 2017 Labor Day singing. 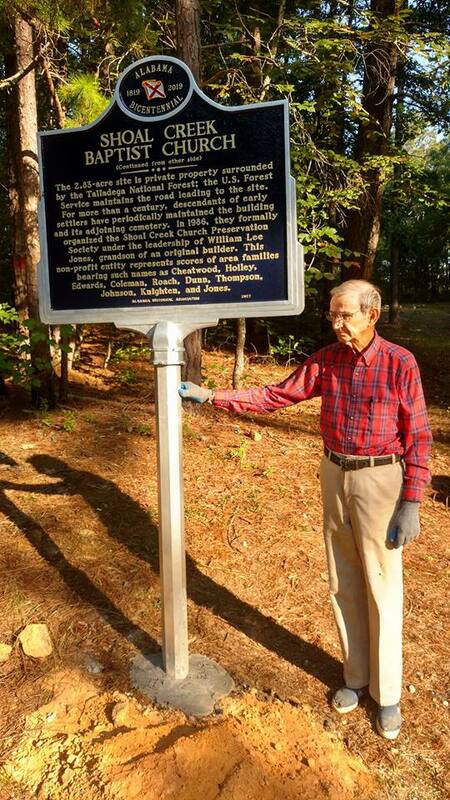 Joe Jones of Huntsville secured the marker and, along with his brother Houston and others, placed the monument. 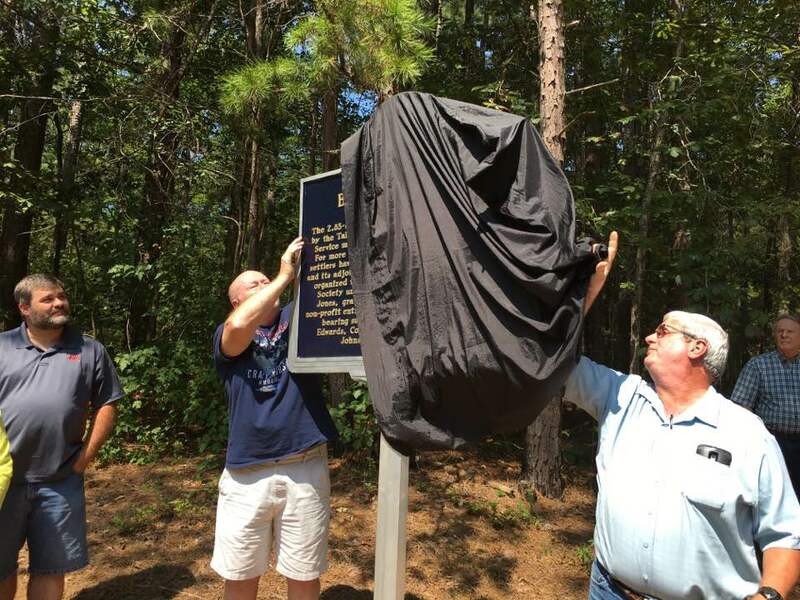 Les Jones of Heflin presided over the dedication and unveiling to the delight of the over 80 singers present. 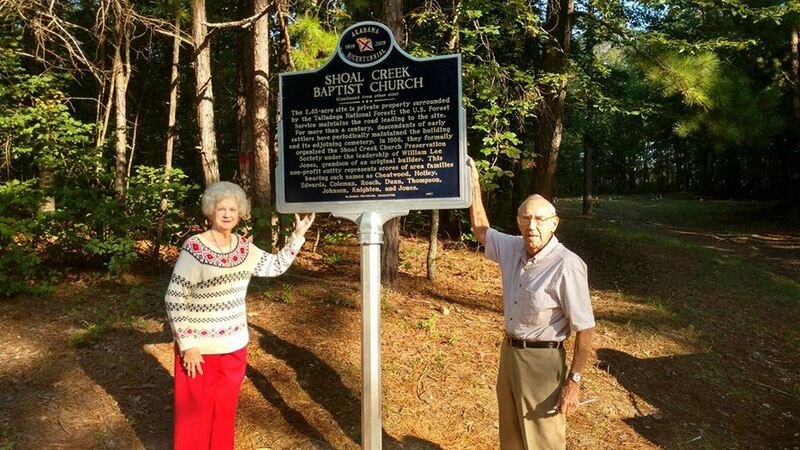 Text of marker points to storied history of Shoal Creek. Joe Jones secures the marker to sturdy post. 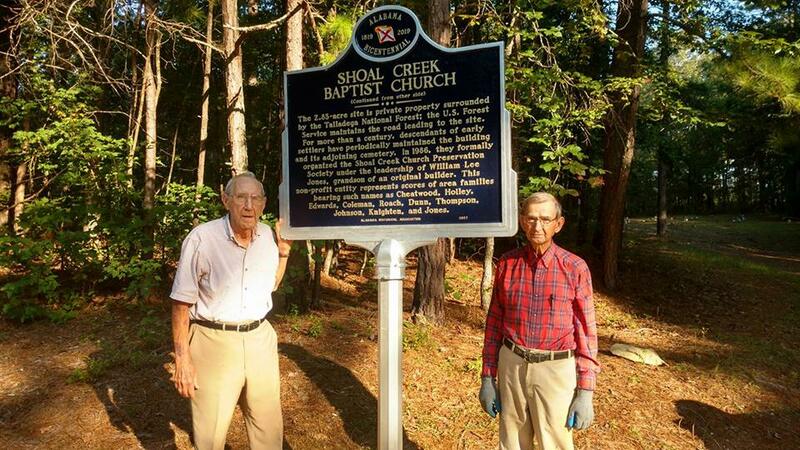 Brothers Joe (left) and Houston Jones have been staunch supports of maintaining Shoal Creek Church for many years. 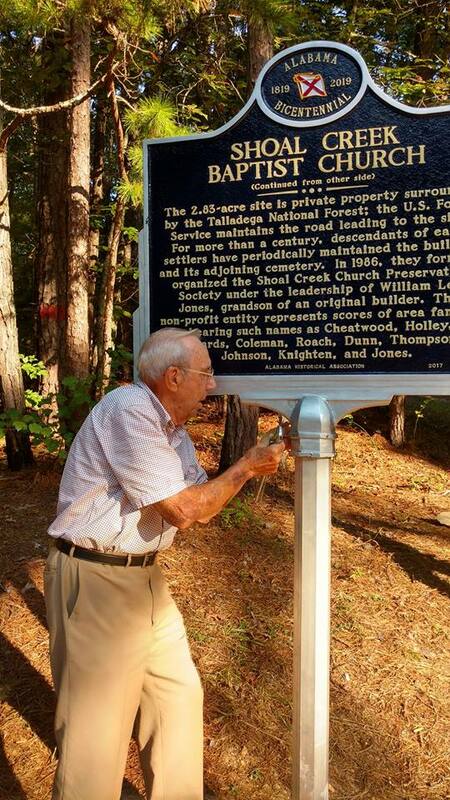 Les Jones of Heflin unveils the marker during dedication. A few of the singers in attendance at the 2017 singing. Inside the church house making a joyful noise. This mountainous area was the final stronghold of American Indians, the last Alabama segment settled by white man. On this site has stood three crude Baptist churches, the first built about 1842 as white pioneer settlers increased. They also served as school houses, the final one built about 1895. In the early years of the 20th century the population decreased to the point that the diminishing membership ceased meeting here in 1914. 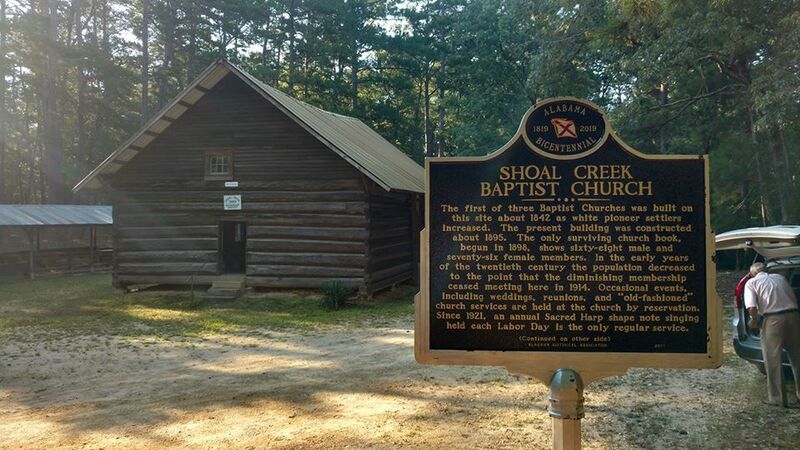 So for more than a century descendants of early settlers have maintained the building and its adjoining cemetery; this 2.89 acres being the only private property in this section of the Talladega National Forest. The U. S. Forest Service graciously maintains roads to the site. 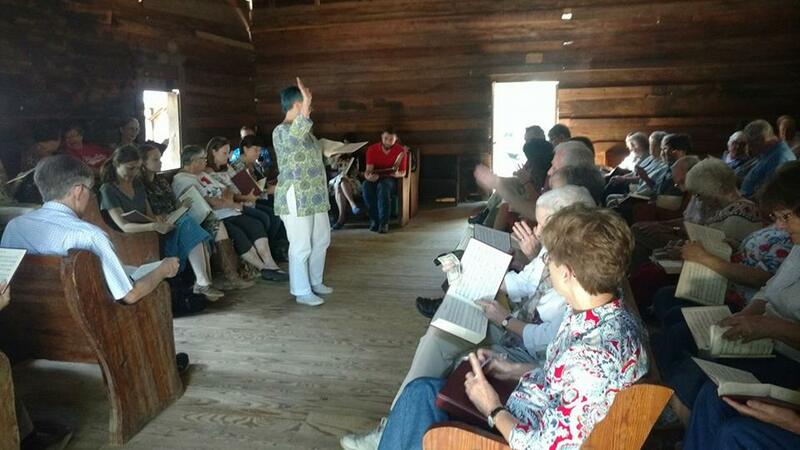 A Sacred Harp shape note singing, begun in 1921, occurs here every Labor Day, drawing hundreds. While this is the only scheduled event each year, typically several weddings, “old fashion” church services and family reunions occur here annually, by reservation. For decades descendants of settlers maintained the property randomly. 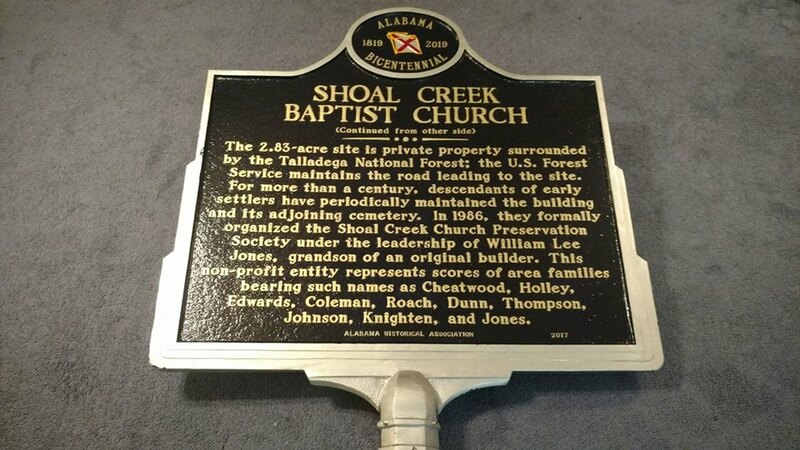 In 1986, led by William Lee Jones, grandson of an original builder, they formally organized, establishing the Shoal Creek Church Preservation Society, a non-profit entity representing scores of families bearing such names as Cheatwood, Holley, Edwards, Coleman, Roach, Dunn, Thompson, Johnson and Knighten. A single surviving church book, begun in 1898, shows 68 male members and 76 female.